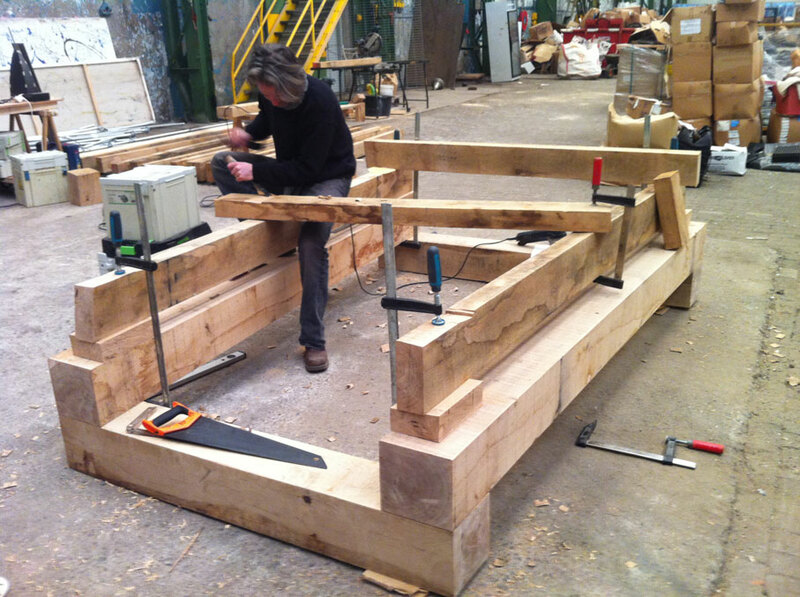 Ronald van der Meijs: Production of new sculpture for Almelo city. 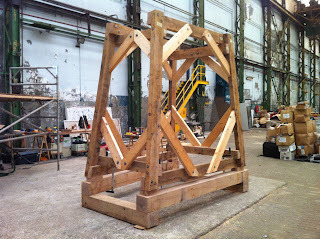 Production of new sculpture for Almelo city. The bas structure of the sculpture consists of 4 Oak beams of 20 x 20 cm! With professional assistance of Stephan Sliepenbeek. 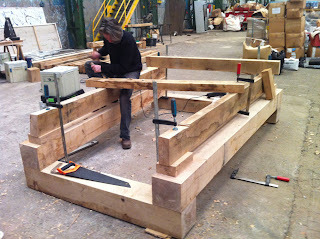 Here's the first part of the Oak construction which will be 5,5 meters high. This structure will be covered with charcoal colored slate.